In this duet, the alto saxophones are connected in différent ways. By parallelism of melodies (not tonal ones...), by playing same rythms, or even by the gap between the two parts, which give a sense to the dissonances in long and slows passages. The nuances are very precise, so it is possible to lead the audience from one saxophone to the other without the aid of an obvious melody. 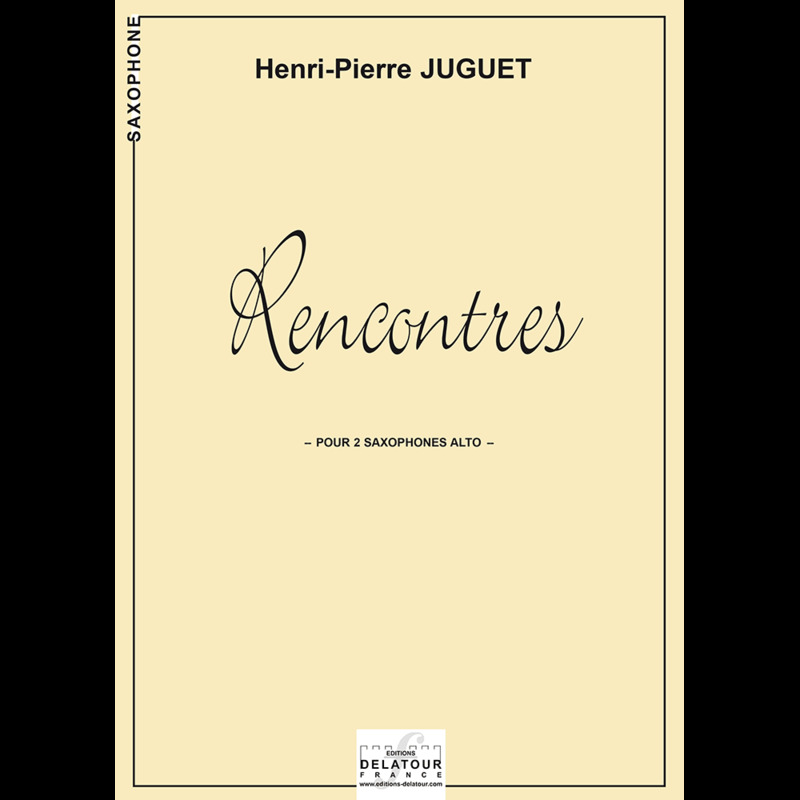 Playing with consonance or dissonance, with instability, and the three part construction of the piece (the end is in same manner than the beginning), is a good way the keep the interest of an audience (and players to...) Rencontres is not so difficult to perform, by exemple after five or six years learning saxophone.